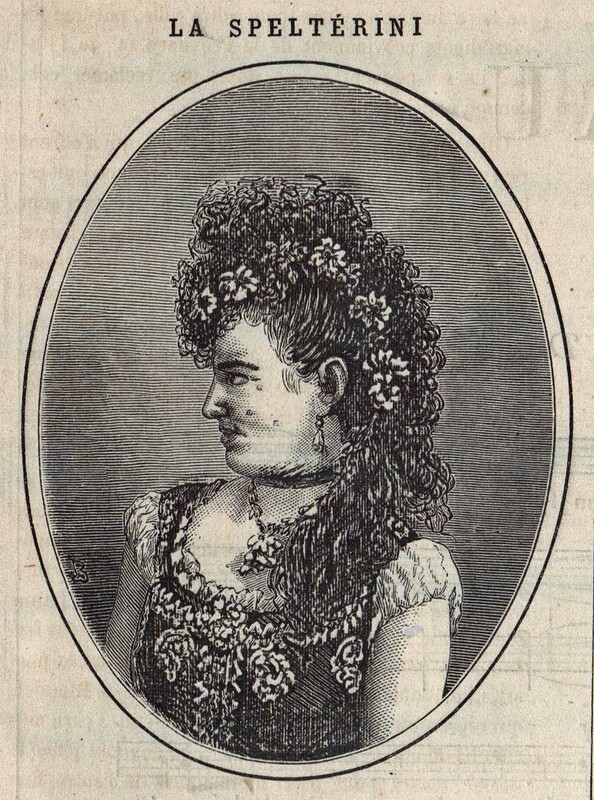 Maria Spelterini 1853-1912 was an Italian tightrope walker being the only woman to cross the Niagara Falls which she did in 1876, she also crossed on following occassions: blindfolded, manacled, and with peach baskets strapped to her feet. 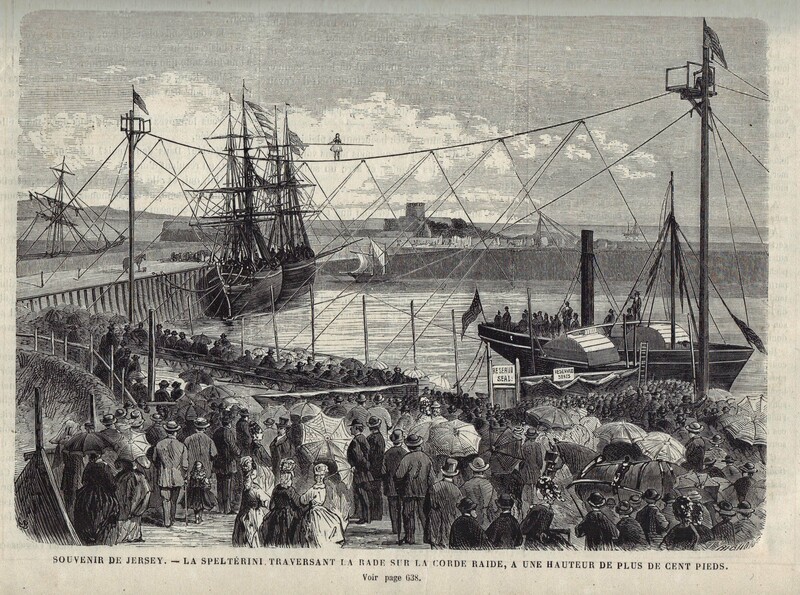 She was known as the female “Blondin” and the details of her earlier appearance in Jersey are very limited, her appearances at St Aubin in 1872 were to help the small harbour maintain its status as a busy and thriving part of the island and support the railway link with St Helier. She put on several performances some of which included illumination and fireworks. This was at the start of her career. There is little detail of her exploits before her performance in Jersey, she also performed in St Petersburg, Moscow, and Catalonia.